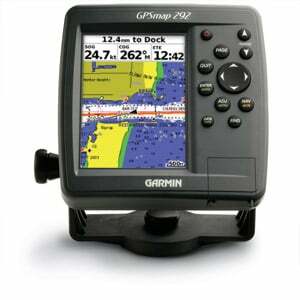 Own the lake with the GPSMAP 292 and its counterpart, the GPSMAP 298 Sounder. With an enhanced worldwide basemap for extra-detailed depictions of shorelines, roads and surface features, the 292 can handle any fishing adventure. The GPSMAP 292 features an enhanced worldwide basemap that depicts shorelines, roads and surface features in richer detail. The 5-inch screen shows details in bright, crisp color. 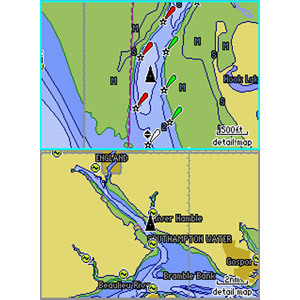 And for even more detail, the 292 also accepts preloaded BlueChart® g2 data cards, including bathymetric data. 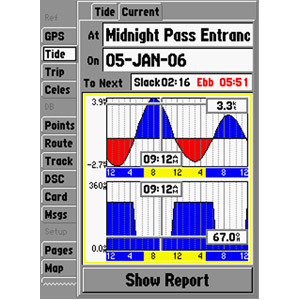 The 292 displays real-time tide and current information, so you can stay aware of changing conditions on the water. 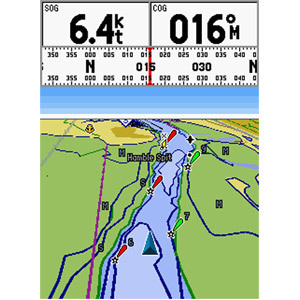 It also has Garmin's proprietary CANet™ bus, so you can share information with another chartplotter or sounder on your boat.